Good morning everyone! Happy Belated Passover!! Happy Belated Easter!! & WELCOME BACK!! Hope you all enjoyed last week’s series of guest posts. Wish I’d been savoring each scrumptious morsel with you instead of hauling flaking wood and rodent-gnawed insulation. The good news for my family? As of this morning, our 2nd construction dumpster is on its way out and I am officially trading in my filth-covered respirator for a CLEAN wooden spoon! WOOOHOOOO!! To mark this momentous occasion, I wanted to dish up something special. I’d spied this Whole Foods recipe before last week’s DIY-fest and have been thinking of it ever since. 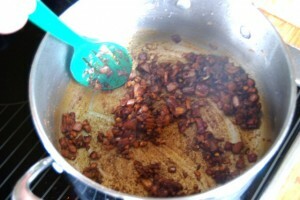 The combination of spices (a homemade Ethopian berbere) is out of this world. Its blend of fiery heat & aromatics packs the most intense level of flavor imaginable without a single grain of salt. Between the toasting of the spices and the roasting of the chickpeas, it’s truly a taste-tastic experience! A few quick notes before getting started. First, I’ve chosen to use low sodium chicken broth (over vegetable) because I prefer the flavor, but if you follow the recipe as written it will be strictly vegan/vegetarian. Second, if you are someone who cannot tolerate spicy food, skip the cayenne and proceed as directed. 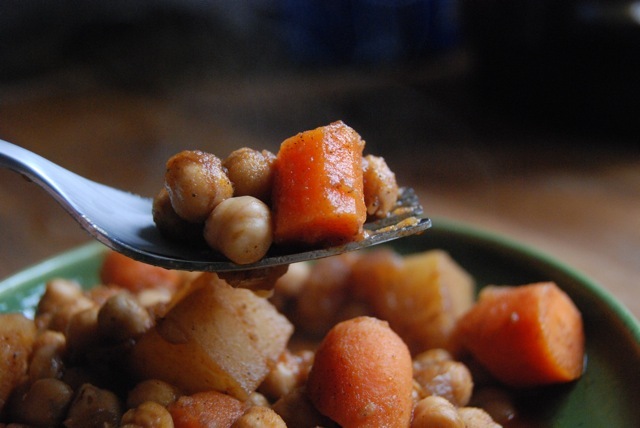 Third, if pressed for time simply add the canned chickpeas to the stew without roasting. The flavor won’t be as intense, but it’ll still be delicious. PS: I AM JUST SO HAPPY TO BE BACK!!! I’ve missed you all so much! Preheat oven to 450 degrees. Line a rimmed baking sheet with aluminum foil and set aside. Measure the paprika, allspice, black pepper, cardamom, cloves, coriander, cayenne, fenugreek (if using) and ginger into a small bowl; mix well and set aside. 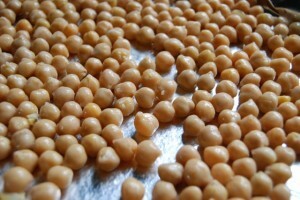 Place the chickpeas in a mixing bowl. Add 1 T. olive oil and toss well to coat. 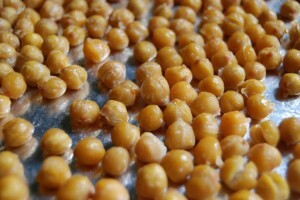 Spread the chickpeas in a single layer on the foil-lined baking sheet. Place on the middle rack in the oven and roast 17 minutes. Remove from oven and set aside. Heat the remaining 2 T. olive oil in a medium pot over medium heat. 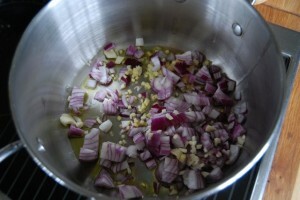 Add garlic, onion and chopped ginger and cook, stirring, until very soft, 8-10 minutes. Stir in the spice mixture and continue cooking, stirring constantly, until spices are toasted and very fragrant, about 2 minutes. Stir in tomato sauce and cook 2 minutes more. Add the broth, potatoes, carrots and roasted chickpeas and bring to a boil. Reduce heat to medium-low, cover and simmer until potatoes and carrots are just tender, about 20 minutes. Uncover pot and simmer until stew is thickened and potatoes and carrots are very tender, about 10 minutes more. Ladle stew into bowls and serve immediately. 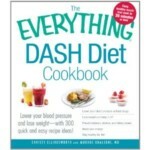 This entry was posted in Main Dishes, Vegan or Vegan Adaptable, Vegetarian and tagged Whole Foods, Whole Foods Market. Bookmark the permalink. You lined up some wonderful guests, Dishy, but it’s sure great to have you back! Huzzah! Huzzah! So glad to be missed – but even better to be BACK! Wow, no wonder this is so flavorful–that’s a whole lotta spice! And I’m all for it. If my nose doesn’t run while I’m eating it, I don’t want it. And the steam coming off those carrots? I die! Christy, the spice blend looks very inviting. I like the roasting technique, too. I bet it adds a flavor dimension you wouldn’t get from just opening a can and plopping the beans into the dish. I’m going to have to remember that step. I love garbanzo beans. 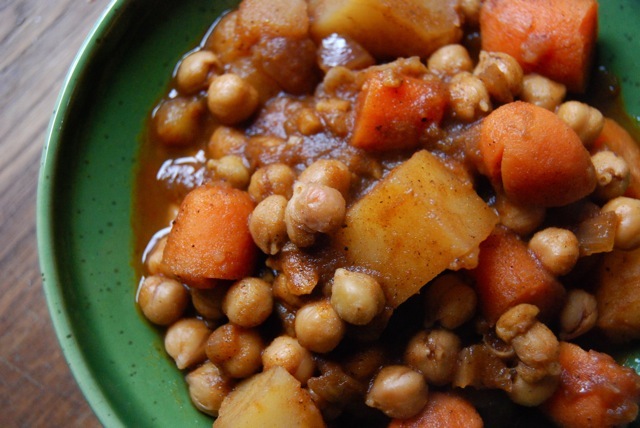 Katie – this stew is SO GOOD and so good for you!! Kamran will approve I am sure! Plus, it’ll give you an excuse to go back to the spice shop. Shambo, I love chickpeas too, even right out of the can. But the roasting process gives them such great flavor. I’m going to start doing it more often and adding them roasted to all sorts of things! Hope you enjoy it! Hi, I also suffer from Meniere’s and I just found your low salt recipes blog. Thanks so much for sharing this dish. It is delicious and easy to make too. I can’t stop eating it – the flavour is amazing! Hey Tanya! Wonderful to hear you’re enjoying it so much. Thanks for taking the time to say hi and let me know!! 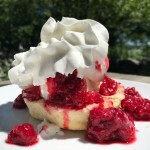 I just made this for the second time – fabulous! 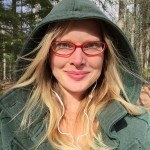 Both my husband and daughter – neither of which require low sodium – just raved about it! Hot and great depth of flavor!